NEW YORK (WABC) -- This is uncharted territory for Knicks fans. Things don't usually fall into place like this. Even the best thing that's happened to the franchise in the past decade - the arrival of a 7 foot tall unicorn named Kristaps - was originally met with disappointment. So the thought of Carmelo Anthony's tenure in New York ending with the arrival of Kyrie Irving seemed unheard of... until now. Irving is one of the best point guards in the league. Carmelo is one of the best scorers in the league. And now, the entire world knows that both players want to be traded. So when word came down Friday that Irving wanted out of Cleveland, Knicks fans began to fantasize about the scenarios that could bring Kyrie to the Garden. The truth is, you don't have to be an NBA General Manager to see how swapping the two players makes perfect sense. Cleveland is one of only two teams Melo is willing to waive his no-trade clause for, according to reports. He and LeBron are great friends and it's been rumored that they've wanted to play together for years. 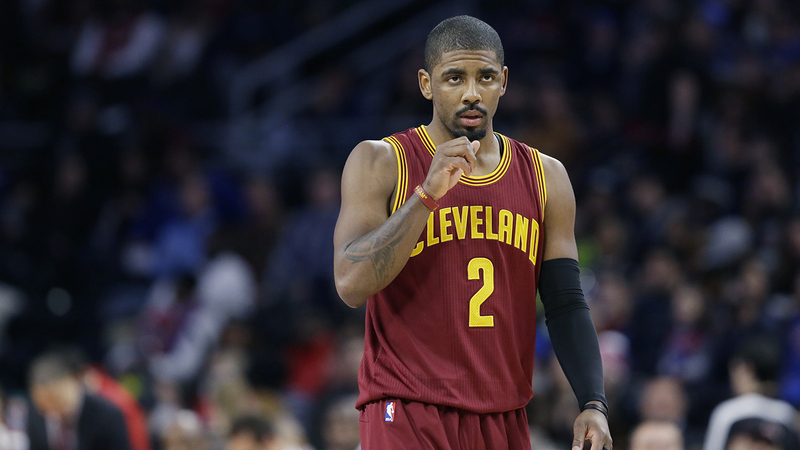 The Knicks desperately need a point guard and Irving listed New York as one of his preferred destinations. Combining him with Kristaps Porzingis automatically makes them relevant again in the Eastern Conference. It's not going to be as simple as Kyrie for Melo. The Knicks will have to throw in a couple more pieces to make this deal work, but short of trading Kristaps Porzingis, they should do whatever it takes.